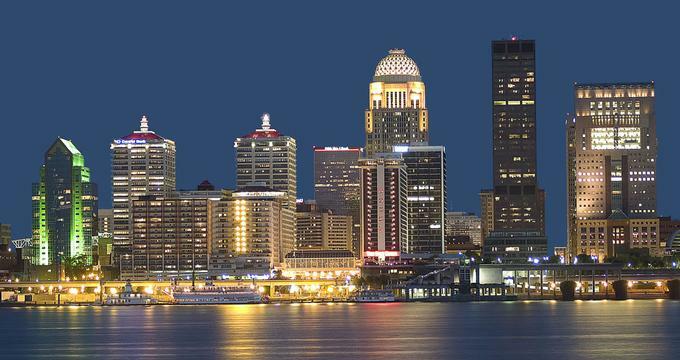 The largest city in Kentucky, Louisville is a unique vacation destination offering many fun things to see and do. Watch a race at the famous Churchill Downs racetrack, visit the Kentucky Derby Museum, explore the Muhammad Ali Center, tour the Louisville Mega Cavern and more. Best things to do in Louisville, KY with kids include the Kentucky Science Center, the Louisville Slugger Museum & Factory, the Frazier History Museum and the Louisville Zoo. The Kentucky Derby Museum celebrates, engages, and educates visitors about the extraordinary experience that is the Kentucky Derby. One of the main attractions in the Louisville region, the Kentucky Derby Museum showcases the history, hospitality, and tradition of the world-renowned event. 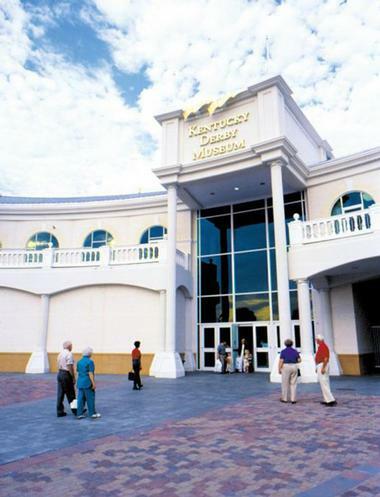 The Kentucky Derby Museum is one of the top Louisville attractions. Admission to the museum includes a historic walking tour of the Churchhill Downs Racetrack, The Greatest Race exhibition, a state-of-the-art 360-degree high-definition film, and access to all of the permanent and temporary exhibits and displays. The Mega Cavern presents the opportunity for a vast underground adventure where visitors can explore the history, geology, mining, and building technology of Louisville. It is also home to the world’s only underground zip line course. 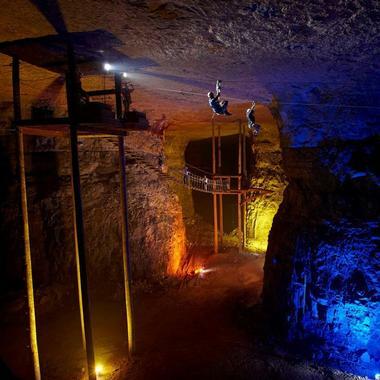 Take a MegaZip Tour and zip line into parts of the cavern never seen before; explore the cave on challenging roped walkways on a MegaQuest tour; or hop on the MegaTram and take a Jeep-drawn ride through the vast halls and caves. Professionally trained guides lead all tours, which are suitable for all ages. 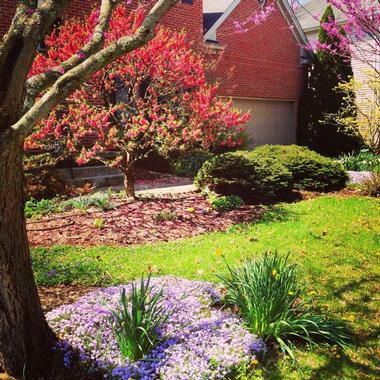 Known as “The Avenue” by locals, Frankfort Avenue is a section of road that connects some of Louisville’s most charming and historic neighborhoods. 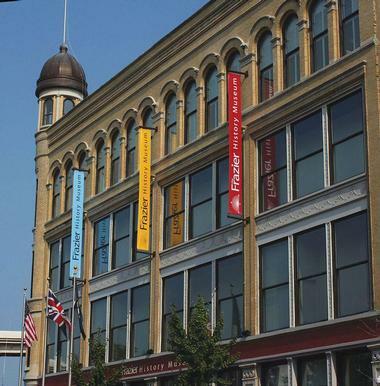 This vibrant corridor brims with character and is home to unique and locally owned boutiques, trendy art studios, galleries, and bustling cafés and restaurants and an array of attractions to explore, including the historic Peterson-Dumesnil House, the Louisville Water Company, and the American Printing House for the Blind. 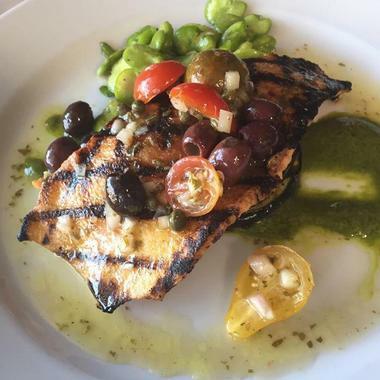 More than 30 locally owned restaurants offer a variety of dining options, from alfresco to fine dining, while a wealth of boutiques and shops sell everything from vintage items and clothing and outdoor gear to home décor, wine, and books. If you are wondering what to do in Louisville, Kentucky today, this is a great place to start exploring. The last Friday of every month is known as FAT Friday Trolley Hop, and visitors can hop on and off free trolleys that cruise along the alley and explore the sales, specials, and samplings on offer. Frankfort Avenue also plays host to several annual events such as the Easter Parade, the Olde Tyme Christmas Celebration, and the Old Fashioned 4th of July Art and Music Festival. Churchill Downs is the home of the famous Kentucky Derby and the Kentucky Oaks, two of the longest continually running sporting events in America. Opened in 1875 on Central Avenue in south Louisville, the thoroughbred racetrack hosts three race meets each year and has hosted the Breeders’ Cup World Championship no less than eight times. The race track covers 147 acres of ground, featuring a seven-furlong turf racecourse and a one-mile dirt race track in the shape of an oval. 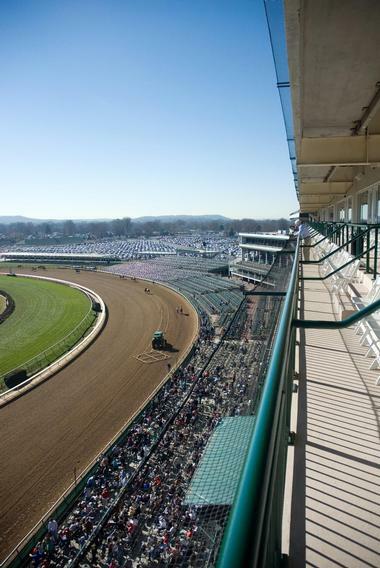 Churchill Downs also boasts a venerable grandstand topped with the Twin Spires (the world-renowned symbol of the race track) and beautifully designed clubhouse with private luxury suites and The Big Board – the world’s largest 4k video screen. Access to the bridge is limited to pedestrian and bicycle use, offering people from Louisville, Jeffersonville, New Albany, and Clarksville a scenic and safe way to travel between the cities. There are urban green spaces on either end of the bridge, featuring lawns, fountains, pavilions, and a children’s playground where people can relax and enjoy the outdoors. Located on West Main Street on Louisville’s “Museum Row” in the West Main District of downtown, the Kentucky Science Center is the largest hands-on science museum in the state of Kentucky. The Muhammad Ali Center is a cultural center and museum devoted to champion boxer Muhammad Ali. Opened in 2005, the museum is part of “Museum Row” in the West Main District of Louisville. Made of bedford limestone, the house was built in what is called the Richardsonian-Romanesque style. The exterior features coned, hexagonal, and pyramid shaped towers and turrets as well as many decorations such as carved animals, gargoyles, and other objects. The interior has high ceilings, stained-glass windows, carved fireplaces, and parquet floors that mimic quilt patterns. 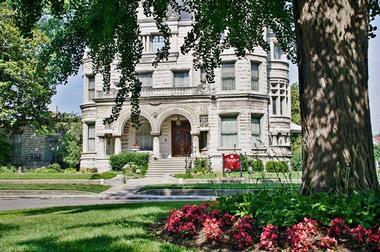 The museum offers tours, and the historic house can be rented for special occasions such as weddings. Opened in 2000, Louisville Slugger Field is a baseball stadium with has a seating capacity of more than 13,000 people and is the home of the Louisville Bats baseball team and the Louisville City FC professional soccer club. Louisville Waterfront Park is a municipal park that sits along the Ohio River. Dedicated in 1999, the park at first consisted of 55 acres of land that had formerly been used for sand pits, scrap yards, and other industrial sites. Today, the park consists of 85 acres. 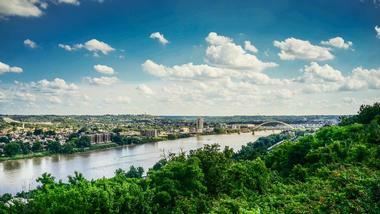 With a view of the Ohio River, the park hosts many outdoor festivals and concerts. Thunder Over Louisville is the annual kickoff celebration of the Kentucky Derby Festival: it is very popular and well attended. Some of the features of the park include the Promenade along the river, Adventure Playground, Lincoln Memorial, Swing Garden, Tumbleweed Southwest Grill, and much more. Beckley Creek Park is a large park located east of downtown Louisville and just south of Valhalla Golf Club. It is part of the Parklands of Floyds Fork system and features trails, picnic areas, playgrounds, and a water park. The Egg Lawn is a 22-acre egg-shaped lawn that is a popular place for soccer, throwing Frisbees, flying kites, and attending festivals. Trails include the Black Willow Trail, Fisherman’s Trail, Valley of the Giants Trail, and many more. There are two paddling areas in the park for canoeing and kayaking. The park hosts many events including family programs, field trips, science camps, scout programs, and more. Whitehall House & Gardens consists of a historic house and surrounding gardens on Lexington Road in Louisville. Built around 1855 by John Marshall, the first house was a two-story brick Italianate style building sitting on 20 acres of land through which Bealls Branch, a tributary of Beargrass Creek, runs. The property changed hands several times until John and Betty Summers Middleton bought it in 1909. It was at this time the house was completely renovated to become a Southern-style Greek Revival mansion. The house, gardens, and furnishings were given to the Historic Homes Foundation, and the mansion was refurbished in 1994. Today, tours of the mansion and gardens are offered, and the property has become a popular venue for weddings. The Frazier History Museum is located on Louisville’s “Museum Row” in the West Main District of downtown. Named after its founder Owsley Brown Frazier, the museum has 75,000 square feet of exhibition space on three floors and an auditorium with a seating capacity of 120. In addition to the permanent collection, there are temporary exhibits, some of which are interactive. 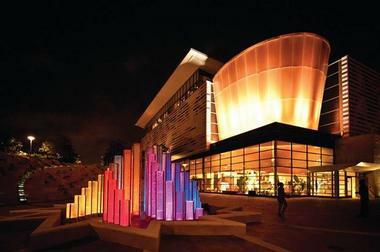 The museum offers many education programs and hosts many events. Located on South Fourth Street in downtown Louisville’s theater district, the Louisville Palace is a historic theater that opened in 1928. 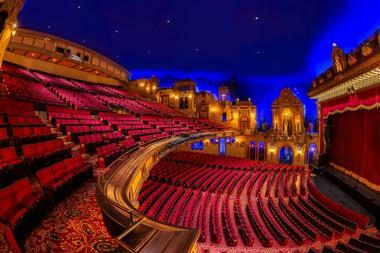 With a seating capacity of 2,700, the theater is a venue for a variety of events such as concerts, films, performances by the Louisville Orchestra, and children’s performances. Built in the Spanish Baroque style, the exterior of the building is ornate and features many turrets. The palace is listed on the U.S. National Register of Historic Places, and the interior is equally ornate; the curved vaulted ceiling in the lobby is decorated with 139 sculptures of the faces of famous historic figures. The theater has two floors, the main floor and a balcony. Old Louisville is a historic district located north of the University of Louisville and south of Broadway and downtown Louisville. Consisting of 48 city blocks, it is the third largest historic district in the U.S. It is the nation’s largest district that consists almost exclusively of Victorian architecture, and it has the largest concentration of houses with stained glass windows. Most of the buildings are made of brick and were built in several styles that were popular during the Victorian period, including Italianate, Queen Anne, and Romanesque. Although it is called Old Louisville, this area was actually built in the 1870s as a suburb of Louisville nearly 100 years after the founding of the city. 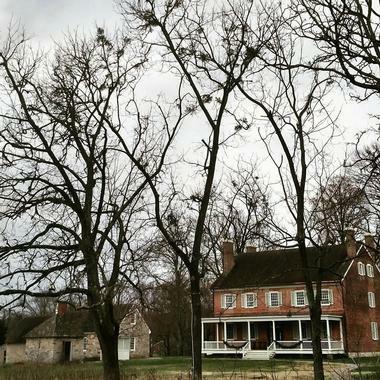 Locust Grove is an 18th century farm and mansion listed as a U.S. National Historic Landmark. The 55-acre site includes a 1792 Georgian mansion built by William and Lucy Clark Croghan. Mrs. Crogan was the sister of William Clark of the Lewis and Clark Expedition, and it was at this house that the famous explorers stayed after returning from their expedition. The Louisville Zoo is a zoological park located on Trevilian Way in Louisville’s Poplar Level neighborhood. Established in 1969, the zoo is sometimes referred to as the Louisville Zoological Garden and the State Zoo of Kentucky. 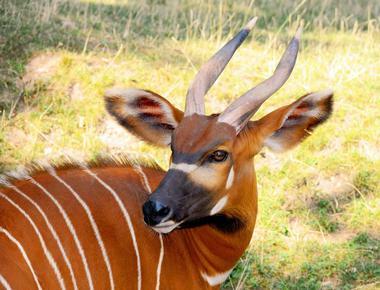 The 134-acre zoo exhibits more than 1,500 animals in their natural habitats. Harvest is a delicious farm-to-table restaurant in Louisville's vibrant NuLu Arts District, located approximately five minutes from the city's downtown area. The restaurant, which was opened in April of 2011 by brothers Patrick and Peter Kuhl and business partner Jim McArthur, serves up elegant twists on down-home Kentucky-style cooking, elevating the traditional idea of farm-to-table service with a rotating menu of locally-sourced fare and wall decor photos of farm suppliers. Entrees emphasize ingredients produced within a 100-mile radius, including classic biscuits and gravy entrees for brunch and homestyle favorite lunch and dinner options such as buttermilk fried chicken. The Mayan Café is an indigenously inspired farm-to-table restaurant that serves traditional Mayan cuisine from Mexico’s Yucatan peninsula. 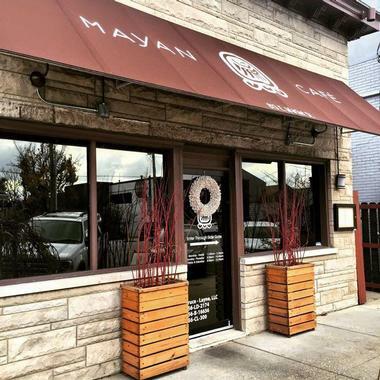 Located in the East Market Gallery District and boasting a bright and vibrant ambiance, the Mayan Café fits right into the trendy neighborhood with its ever-evolving soulful food. Head Chef Bruce Ucán, a native Mayan from Mexico, combines fresh locally sourced ingredients with traditional Mayan flavors and cooking techniques to create innovative and delicious dishes that draw on his rich Yucatan heritage. The menu features dishes with traditional Mayan roots, including the Yucatec Salbutes and cochinita pibil. Others are a modern take on an ancient dish, such as Chef Bruce’s own version of chilaquiles. An enticing beverages list offers signature cocktails, aperitifs, and flights of tequila and bourbon. Mint Julep is a unique tour company that offers exceptional tours that allow their clients to experience the distinctive richness of Kentucky culture. With the help of Mint Julep Experiences, you can make Louisville a starting point for tours of the famous Kentucky Bourbon Trail®, celebrated Horse Country, Louisville craft breweries, exceptional food destinations, and much more. One of the most popular tours follows the Kentucky Bourbon Trail®, which visits 14 member distilleries. 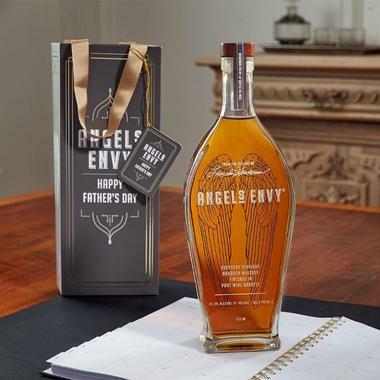 Learn about the making of some of the world-famous bourbons and taste each of them. The tour of the Kentucky’s famous Horse Country will allow you to visit some Kentucky Derby winners, see foals at the nursery, or visit a training facility where they are training future champions. During a custom food tour, you will sample Kentucky staples such as bourbon balls, mint juleps, and Hot Browns, meet some of Kentucky best chefs, or take a mixology class. 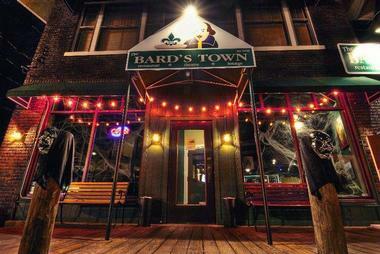 The Bard’s Town brings together great food, excellent theater, and a relaxing lounge to offer diners an evening like no other. The Bard's restaurant offers diners a Shakespearean-themed menu that includes delicious delights like Tybalt’s Tomato Bisque, the St Francis BBQ Bacon Burger topped with bacon, cheddar, onion rings, and BBQ sauce, and the First Folio Fish of fresh Atlantic cod served on marble rye with savory remoulade sauce. Try the Lord Chamberlain’s Fin – fresh fish tacos of cod stuffed into soft tortillas with remoulade sauce and freshly prepared salsa before ending with something sweet from the dessert menu such as Triple Chocolate Cake or Key Lime Pie. Vegetarians can happily tuck into the "To Bean, or Not to Bean" Black Bean burger while kids can enjoy a special children’s menu for smaller appetites. An array of fountain drinks, iced teas and coffees are also available. Established in 1933 by Jack Fry and his wife, Jack Fry's was a popular sportsman’s hangout, as can be seen in the numerous historic photographs that cover the walls of the current Jack Fry's. Today, Jack Fry's is a Louisville landmark that has gained local and national prestige over the years, becoming a culinary institution on the Louisville culinary scene. The family-friendly diner offers a lunch and dinner menu of authentic all-American and European cuisine with a creative twist. Starters include shrimp and grits, scallops, escargot, and roasted duck breast while entrées feature lamb chops with potato au gratin and haricot verts and succulent veal tenderloin with garlic whipped Yukon gold potatoes, kale, poached eggs, and porter-espresso reduction. Indulge in a sweet Dulce de Leche Cheesecake with a graham cracker crust, rich ganache and pecan brittle and a freshly brewed coffee or digestif. 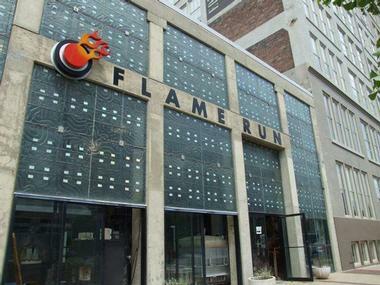 Flame Run Glass Studio and Gallery is dedicated to sharing the beauty of glass blowing and glass art through art glass gallery tours, hot glass demonstrations, contemporary glass art exhibitions, and community classes to visiting artists’ workshops. Located close to the Kentucky Museum of Art and Craft, the art glass studio features a working glass-blowing hot shop, welding and fabrication studio, and exhibit gallery where visitors can view and purchase artworks from twelve resident artists. The studio also offers classes and workshops in the art of glassblowing, daily glassblowing demonstrations, and after-hours group outings. Admission to the gallery and viewing area is free of charge. The Cafe to Go is located in Louisville’s Parishtown neighborhood in a former beautifully renovated warehouse under the railroad trestle off of East Broadway. The indoor dining room is bright and colorful and the lovely outdoor patio is a delight with comfortable seating and blooming plants, a fishpond, and a waterfall. 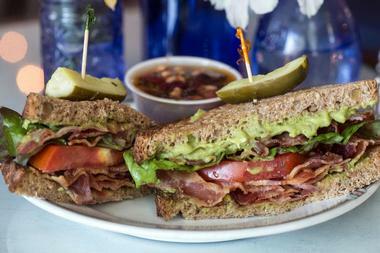 The café serves large portions of traditional American food with Southern flair, with large portions, fresh seasonal ingredients, and distinct flavors. The café is a perfect spot for a business lunch, a romantic dinner, or a get-together with family and friends. It also offers lunch box deliveries. The Café to Go does not serve alcohol. 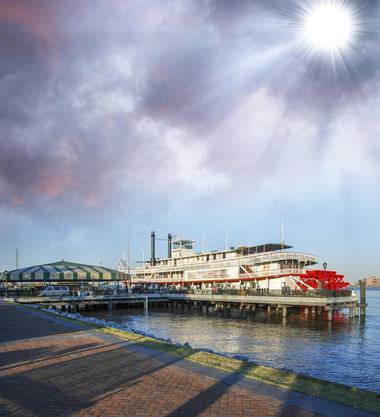 Belle of Louisville is the oldest Mississippi River steamboat still in operation, and it is a U.S. National Historic Landmark. The steamboat was launched out of Pittsburgh, PA in 1914 and was used as a ferry between Memphis, TN and West Memphis, AR. Actors Theatre of Louisville is a performing arts theater located on West Main Street in downtown Louisville. Founded in 1964 when two local companies merged, the theater has been known as the State Theater of Kentucky since 1974. Cherokee Park is a 389-acre municipal park in Louisville. Opened in 1891, the park’s most popular feature is its 2.4-mile Scenic Loop, which runs through forested areas as well as meadows and rolling hills. It has separate lanes for cars and pedestrians. Some of the other features found in the park are Beargrass Creek, the Big Rock picnic area and playground, Frisbee Hill, Nettleroth Bird Sanctuary, and Hogan’s Fountain. Activities at the park include archery, basketball, biking, fishing, golfing, hiking, horseback riding, tennis, and more. There are also many animals in the park such as beavers, birds, deer, foxes, hawks, and turtles.